Nigerian Afro-fusion artist, Burna Boy real name Damini Ogulu is on a roll this year as he clinches awards and sells out his shows, in addition, he launched a limited edition cereal in the UK. 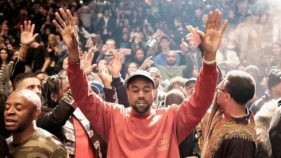 He has also released visuals for “Devil in California” and “Ye” and released new singles All My Life (in collaboration with Major Lazer) and Gbona, both of which were accompanied by videos. Burna Boy is the only featured artist on Fall Out Boy’s currently released album Mania, Rita Ora’s “Your Song” remix, and J Hus’ “Good Time”. 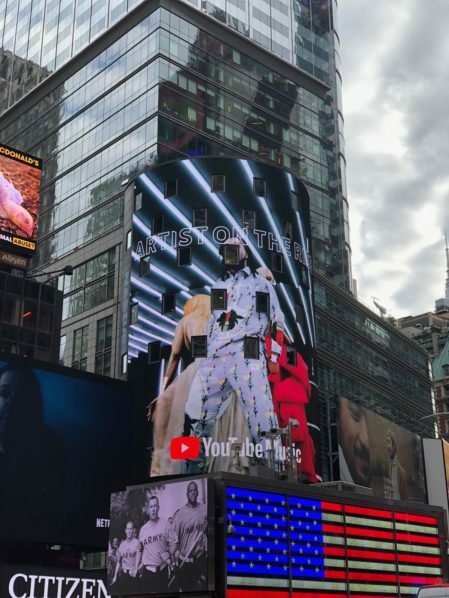 Yesterday, October 22nd, the ‘Ye’ video, quite possibly the biggest track off Burna Boy’s ‘Outside’ album, was played on the big screens at Times Square, New York. The spot was sponsored by YouTube Music. 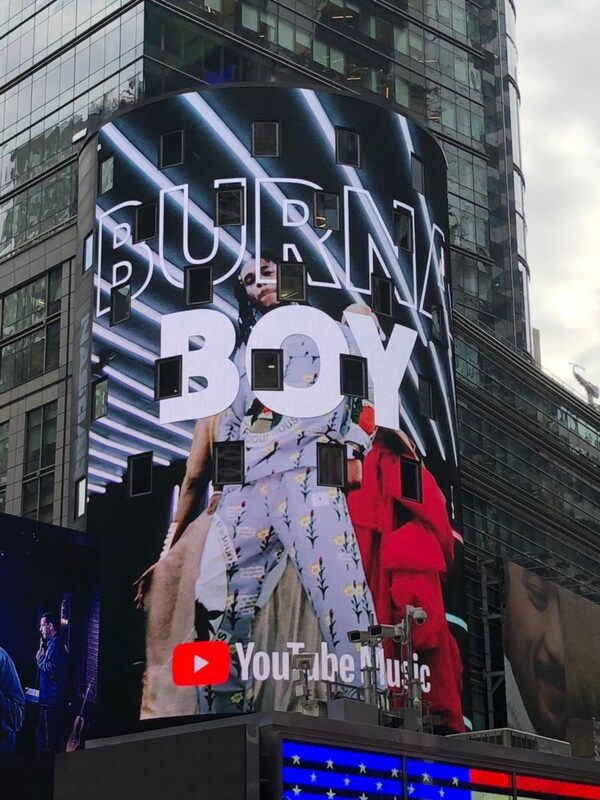 YouTube is currently running a 3-month campaign that focuses on Burna Boy as a global Artiste on the Rise. The Artiste on the Rise program was initiated to promote a diverse lineup of relevant and revolutionary new voices in music, cut across all genres, and connect them with their fans worldwide through in-product promotion and programming, out-of-home, social and fan events at YouTube Spaces. 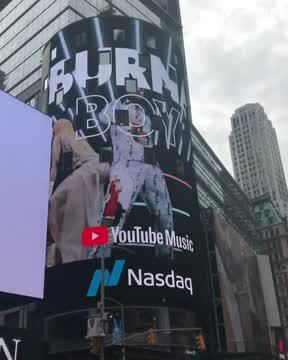 This means we can expect to see more of Burna Boy’s videos pop up on other billboards across America and Europe. 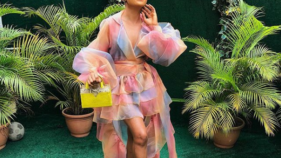 YouTube’s Artiste on the Rise Trending tab will also continue to feature three of Burna’s songs that are making a significant impact on the platform weekly.